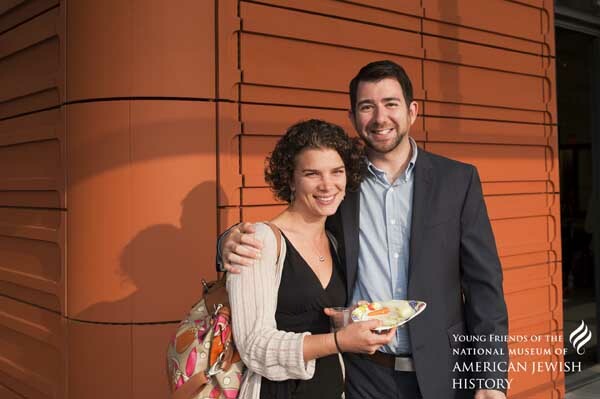 Have you ever wanted a chance to socialize, eat hors d’oeuvres, and take in one of NMAJH’s great exhibitions? That was the opportunity a number of folks had at last Thursday’s Young Friends Curated Cocktails event. 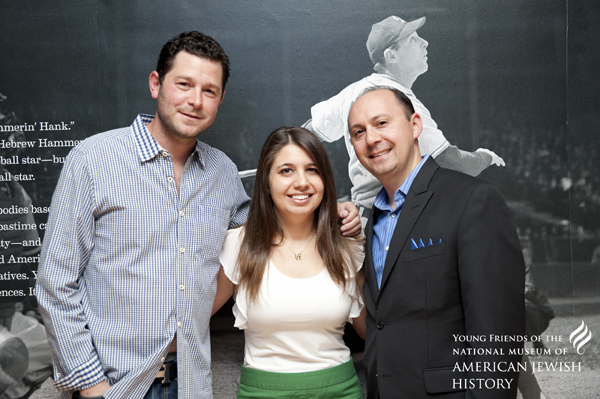 More than eighty people came to nosh, mingle, and listen to NMAJH’s Associate Curator and co-curator of Chasing Dreams: Baseball and Becoming American, Ivy Weingram. She spoke about baseball’s importance to many minority and immigrant groups, not just Jews, in becoming American. Ivy also discussed several of the exhibition’s most interesting stories, from a current major leaguer’s baseball-themed bar mitzvah to a Saint Louis hotdog vendor who did not dish on Saturdays. Ivy was available for questions later as attendees perused the exhibition. Between the cocktails, the Cracker Jacks, and the history, there was something for everybody Thursday evening. 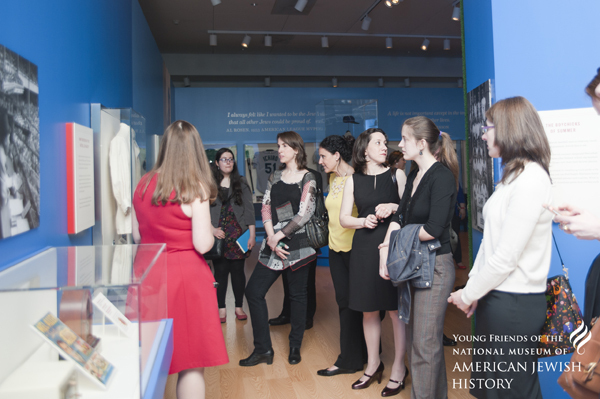 Curated Cocktails is organized by the Museum’s Young Friends group. 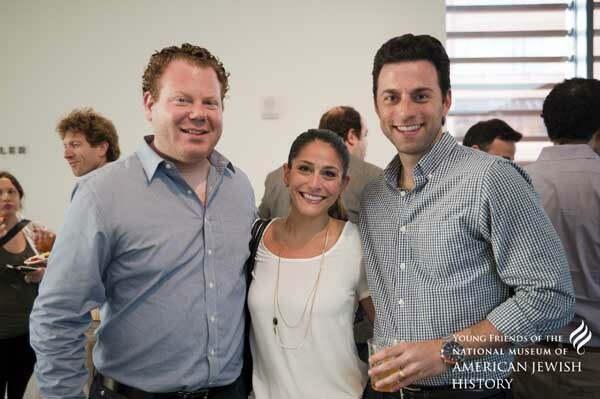 NMAJH members and friends between the ages of 21 and 40 receive invitations to many social and networking events planned specifically for young professionals, including Curated Cocktails. 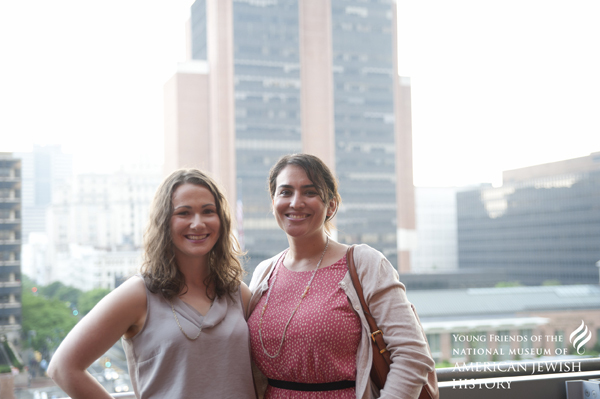 If you are interested in getting involved with the Young Friends group, or if a loved one in your life might enjoy what Young Friends offers, mark your calendar for our annual celebration of Tu B’av (the Jewish holiday of love) on Thursday, August 14th. If Curated Cocktails was any indication, this August event will be a blast. I, for one, am very excited for the August event! The oil lasted 8 days. The donuts, not so much.